Fall can be a wonderful time to enjoy your home, but it can also be a wonderful time for pests to invade. As the weather starts to get colder, longer-lived insects and other vermin tend to look for shelter — and that shelter can very well be your home. While it may not be possible to make sure no pest ever invades your Cape Cod home, there are definitely steps you can take to dramatically reduce their presence. If you want to significantly lower the chances of extra guests in your home this fall, here are some fall pests prevention tips to try. Survey your home for any openings where pests may invade. This includes chimneys, attic vents and pet doors. Make sure you screen any openings that you can. While you’re at it, repair or replace any torn window screens and install door sweeps to keep pests from slipping in under the door. Insulation is an extremely popular nesting place for vermin. Not only can they live there, but they can also breed and leave disease-carrying droppings. You definitely don’t want to leave this problem untreated. Check your insulation now, and if you need to, rip it out and replace it before winter comes. Windows are a great place for pests to enter. Make sure your windows are fully weatherstripped, both to insulate your home against cold air and to stop insects from getting in. It goes without saying that if you feed pests, they will keep coming. Make sure you put all uneaten food away and throw out any food debris promptly. This includes pet food. Insects and other pests can’t tell the difference, so once your pet is clearly done eating from a particular dish of food, throw it out. The beginning of fall is a great time to call in a professional for a pest inspection of your home. Pest Pros offers free pest inspections in the Cape Cod area. We will thoroughly inspect your home to locate any pests and potential pest infestations and then offer you recommendations on how we can take care of any problems. 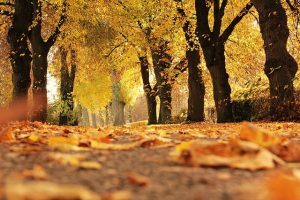 A few simple steps can go a long way toward keeping your Cape Cod home relatively free of pests for the fall. Don’t forget that anytime you are experiencing a troublesome pest infestation, you can call Pest Pros and we will send our friendly and knowledgeable professionals to resolve the issue quickly and in an eco-conscious manner. We’re ready to help you with your pest problem right now. For an absolutely free inspection or to schedule any kind of pest control service, contact Pest Pros today.